This product is a 10 question quiz to help teachers using the Rubenstein textbook. 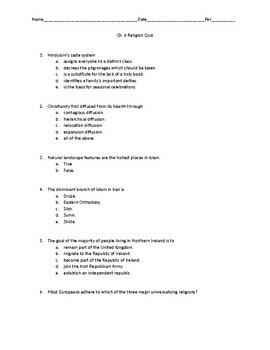 It includes questions from each of the 4 sections from Chapter 6 to assess students' understanding of Religion. It includes a key with the answers.